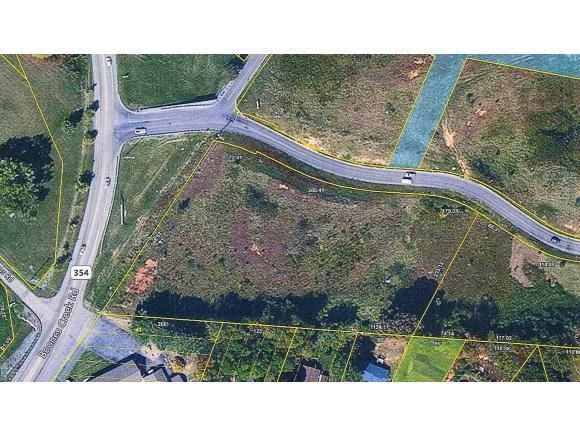 - Forest Dr, Jonesborough, TN 37659 (MLS #393336) :: Highlands Realty, Inc.
3 acres MOL on the corner of Boones Creek Rd and Forest Dr, at theentrance of Old Boones Creek Rd, in the Food City Development ofJonesborough TN. This Large 3 acre site is perfect for Retail, or serviceintustry commercial development. Site is an irregular square with over 600ft of road frontage, and can easily be seen by East Jackson Blvd. Listing provided courtesy of Jay Goodson of Remax Checkmate, Inc. Realtors.